Secret Romance is a video slot powered by Mirogaming software platform. 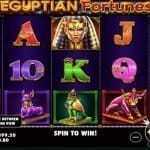 This is 5 reels and 15 paylines slot game, which offers a jackpot of 350 times of your total bet. The game is inspired by secrets of romance and a close relationship. The symbols of the slot include different kinds of gifts. The reels of the game are being set against flowery backdrop. 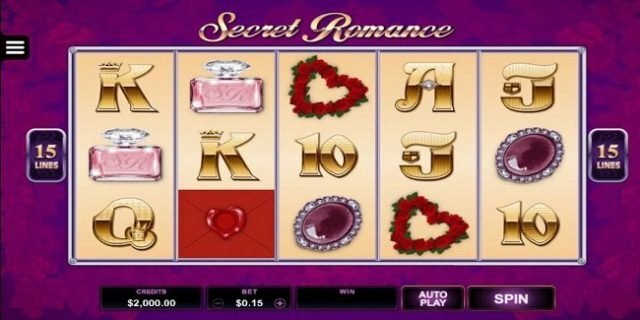 You can play Secret Romance Slot at any of the Microgaming casinos. Total three basic options available in this game and they are “Bet”, which is used to set the bets, “Spin” is used to set the reels in motion, and “Auto Play” option which is used to turn the reels in motion without any interruption for a chosen number of times. Minimum coins per line for the game is 1, while maximum is 15. Just like this, a player needs to adjust coins size which ranges from 0.01 to 0.1. 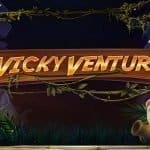 Secret Romance logo is the wild symbol here in these slot machines and if you hit three or more of this kind of logo at your active reels you would trigger free spins. You would get 15 free spins with super stacked mystery symbol. 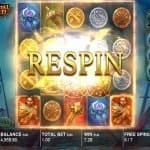 During these free spin; addition free spin can be won if you get three or more scatters. The scatters within free spin will increase multiplier trail to x5. The mystery symbol in this game is Love Envelope symbol and it can appear stacked in the base game.